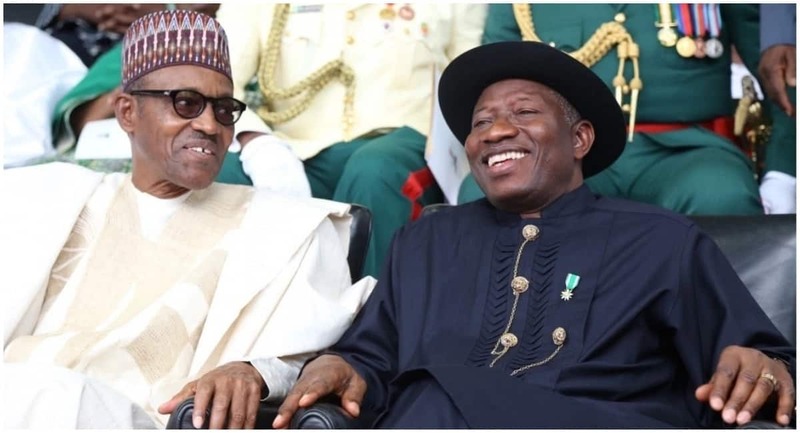 Goodluck Jonathan, the immediate past president of Nigeria, has accused President Muhammadu Buhari of setting the nation back, adding that all indices of development have not made progress since the advent of the present administration. Tribune reports that while speaking at the presidential rally of the opposition Peoples Democratic Party (PDP) in Port Harcourt on Monday, February 11, he recalled that he had warned the country in 2015 to choose between going forward and moving backward. Legit.ng gathered that the former president mentioned that the choice before Nigerians was either to move forward or backward, adding that within those years, the country is either going backward or static? He said: “All of us know that from May 29, 2015, till date, the number of things that have never happened in this country has been happening. And in 2015, I did mention that the choice before Nigerians was either to move forward or backward. And within these past years, you can attest for yourself. Are we going forward, backward or static? “All the indices of development be it unemployment, poverty, health status, happiness; everything that is mentioned, none of them that we have made any progress. The former president told the cheering crowd at the Amiesimaka stadium that the PDP presidential candidate, Atiku Abubakar, would change the situation of elected as the president. Jonathan stated: “He will lead Nigeria forward. He will not discriminate against you. He will not have a ratio of 97 percent vs 5 percent. Every part of this country will be treated equally. “If your son or daughter qualifies to be an IG, he will be appointed. If your son or daughter qualifies to be appointed as the Chief of Army Staff, he will be appointed. You will not be discriminated against. And that is the person that we are all supporting. He has been tested. Jonathan praised the people of Rivers state for standing firm with the PDP, praising Governor Nyesom Wike for his numerous achievements in office. “Rivers state is total for PDP. And there is nobody that can distract us. Rivers State has been a PDP State and we will continue to thank you for your commitment, no matter the challenges for you to be very firm to support the governor and push the agenda of the PDP,” Jonathan stated. Meanwhile, Legit.ng had previously reported that that organisations, NOI Poll and British Business Group predicted that President Muhammadu Buhari would win the February 16 presidential election. NAIJ.com (naija.ng) -> Legit.ng We have upgraded to serve you better.